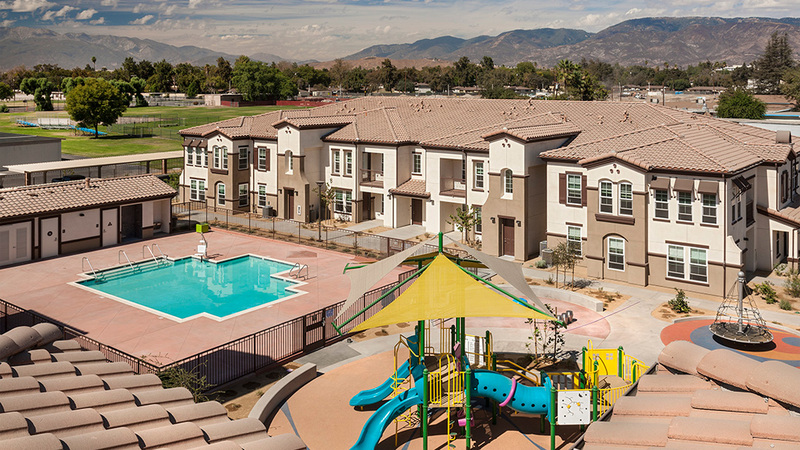 Last week, the Arrowhead Grove Affordable Housing Development and Community Revitalization project in San Bernardino was deemed eligible for funding through the state’s Affordable Housing and Sustainable Communities program. Only 19 of the 53 proposals submitted statewide were recommended for funding through this program and Arrowhead Grove was the only inland area project included among the select group. Arrowhead Grove will include 147 affordable housing units and 36 available at market rates, along with needed pedestrian and transit improvements that will benefit the community at large. The Arrowhead Grove Development, formerly known as the Waterman Gardens Public Housing Site, is the largest award under consideration and would account for a sizable portion of the $75 million needed to construct the 184 unit development east of North Waterman Avenue and south of East Baseline Street. On June 28, a meeting of the Strategic Growth Council will include a staff recommendation to approve $20 million in funding for the two future phases of Arrowhead Grove. Officials noted that if approved, the funding will be leveraged with additional sources such as four percent low-income housing tax credits, a Federal Housing Administration (FHA HUD) insured loan, as well as additional local funding from the county, the city and the Housing Authority.